PERSONAL CREDIT REPAIR POWERED BY BLAM! Peace and Great Day. 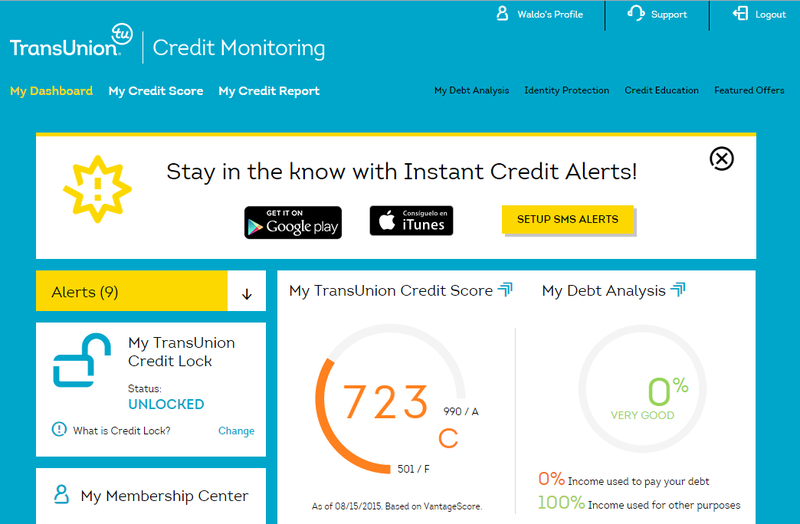 Our Founder recently raised his credit score to 723 as you can see in the image above. Do you understand the importance of a Good/Great credit score? You're not really living if you haven't exercised your credit. We all need homes and most of us want cars which most of the time require loans based on your credit. With poor credit, you end up spending way more than you would if you had good or great credit. By more I mean Tens of thousands! It's far less to have your credit repaired! In an earlier post "Getting Prepared to Fix Your Credit" we explained the basics in repairing your credit. In this post we'll explain our service, how it works and the benefits of having Good/Great credit. Our Credit Repair service raises your score within 30-45 days. We also educate you on all things credit. We make sure that you'll able to maintain and even raise your score higher. No credit is irreparable. Depending on how bad your credit is, it could take anywhere from 90 days or up to 2 years for you to achieve a perfect Credit Score. Surely this is a small investment to make to live the rest of your life financially free. Your credit report consist of 4 parts. Inquiries are the easiest to remove. You acquire them when you apply for credit. Not all inquires are created equal however. Inquiries from Home loans, car loans, and credit cards weigh more than that from a phone company or anything other than the aforementioned 3 types. They all fall off in 2 years though. Therefore most of the time you can wait them out if you aren't able to have them removed. Accounts are the open credit accounts you may have like, Student Loans, Credit Cards, etc.... This displays how well you've been doing with the credit that you've been granted. Collections are loans that you have defaulted on and have been sent to collection agencies to recoup what you owe. Most of the time you can contact the collection agencies and negotiate a deal to have collection accounts removed from your credit report. The three main credit bureaus are Transunion, Equifax, and Experian. 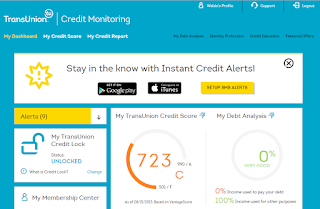 Our owner uses the Transuninon Credit Monitoring service being that Transunion's score holds the most weight out of all 3 major credit bureaus. Credit Sesame offers a free credit monitoring for Experian however. Our Founder also uses this free service to keep track of his credit score and you should too. Click the image above to sign up for credit sesame. Along with low interest rates, there are a lot more benefits to having Good/Great credit. When you use your credit card, a lot of times you get faster service with less requirements and better deals. Good examples are car rentals, booking hotels, and making flight reservations. Also, you collect points on purchases made with credit cards. Credit cards are also more secure being that they refund your funds without question and a lengthy investigation process unlike debit cards when you've become a victim of fraud. Some credit cards even offer their own point system and bonuses on the purchases you make. Also, if you're in business, you'll need a personal credit score of at least 700 to add trade lines to your credit as well as build your Dunn & Bradstreet number which is practically Credit for your business. As always, we thank you for following our blog. Please #Comment or #Reply to our blog if you have any questions or interested in having your credit repaired. You can also contact us at (404) 832-5265 or email us at info@blampromoco.com. Also visit our website at www.blampromoco.com Thank You Again and Have A Great Day! We Help You #Succeed! #TeamBLAM!